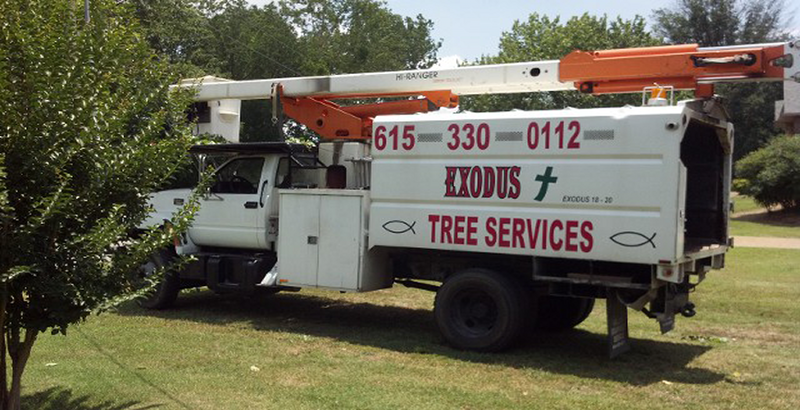 Exodus Tree Service is a family owned christian based company that proudly serves Mt. Juliet, Hermitage, Madison, Nashville, Brentwood, Franklin, Lebanon, Hendersonville and all other surrounding areas. Our company is large enough to handle all of your tree service needs, yet small enough to provide you the individualized attention you deserve. Our mission is to provide you, our customer, with superior service. We pride ourselves in going the extra mile and know we have achieved our goal when you are satisfied. The best compliment we receive is when a past customer refers us to their friends, family and neighbors. Contact us today to recieve a Free Estimate for your tree service.